and alumni. We will feature live musical performances, joyous dancing, and delectable food in one of the City's greatest cruise lines. It's a celebration you won't want to miss! Adult tickets are for persons 16 years and above; child tickets are for those 15 years and below. Tickets for children who are performing can only be purchased at the school office. All proceeds will go towards supporting New Covenant Christian School's legacy of academic excellence in a Christian environment. 2. Once you have finished entering this information, click "Add to Cart." If you need to purchase another type of ticket, select it from the drop-down menu under "Product Options" and click "Add to Cart" again. 3. After you've added all the tickets you want to purchase to your cart, click "Go to Checkout" to go to the checkout page. 4. A confirmation email will be sent to you after you complete your purchase. 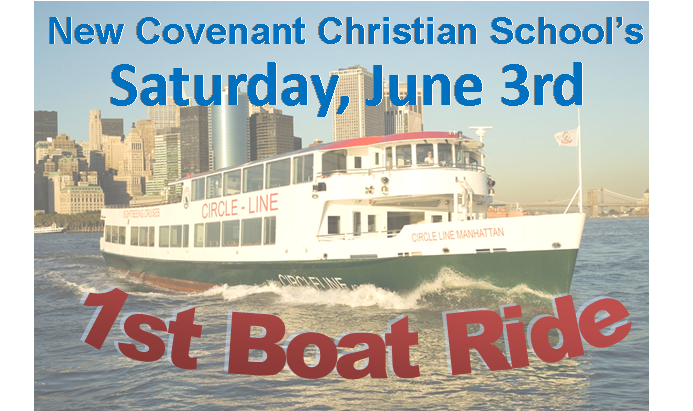 Call the NCCS Office at (718) 328-6072 ext. 119 if you require assistance to complete your ticket purchase.